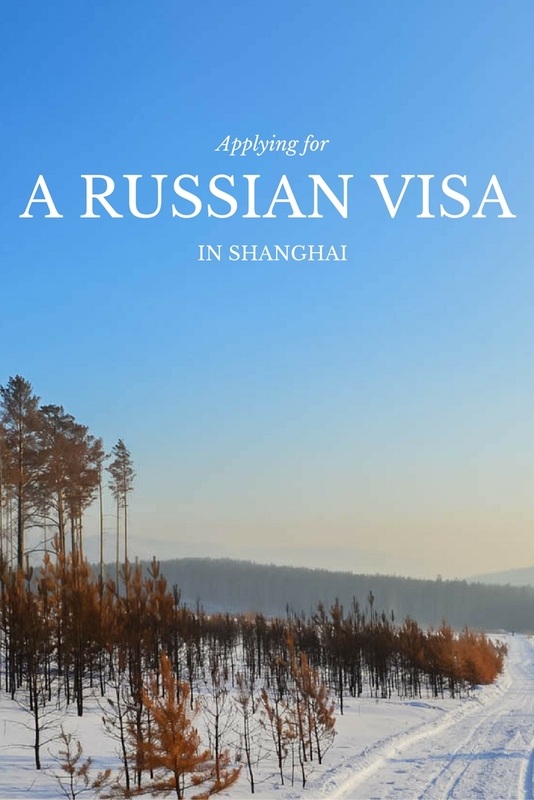 Applying for a Russian visa in Shanghai doesn’t have to be a difficult experience. This article will properly explain it and save you money as well! Goat Note: At the Russian Embassies in China, you’re supposed to hand in the original copy of your invitation letter. To save £65 on a sending the original to China, take the file that the inviting company emailed you to a good print shop and have the letter printed on the best possible paper. Cost us 85¢ and saved us $85! If you have any questions, feel free to contact us or leave a comment below! Really appreciate this blog post. Can I just ask one question…. can you remember the location of the print shop you used? Was it near the Russian consulate? Sorry, but the print shop was in our city we were living in, Yangzhou. I’m sure you’ll find one in Shanghai though. Thanks a lot for this clear description on how to apply for a Russian visa in Shanghai; it was very helpful! One thing has changed between you applied and now: you can no more fill out the application form at the consulate. You now need to fill it out online (link here: https://visa.kdmid.ru) and then print it out and glue your passport photo to it. Today me and another couple had to go to a hotel opposite street to do that’s why I know. Oh really, wow. Thanks for that updated info! Can an American, traveling through China on a tourist visa, apply for a Russian Tourist / Business Visa in the Russian Consulate in China? or would I need to travel back to the USA to process the visa? We are Canadian and we applied at the embassy in China, with no problems. I would call the embassy to make sure though that Americans can do the same. Im an aussie in London and I was able to get my Russian visa within 10 working days. Tourist Visas are really quite simple. Hopefully this is of use to someone! We just got our visas from the embassy. We are both Austrians and first tried at the visa center where they rejected our application. So we went to the embassy itself. We handed over: one passport photo, invitation letter (‘original’ as mentioned above) and a copy of it, application form, proof of medical insurence (since we are from a Schengen country), copy of passports. We paid 280 yuan each and had to wait for 5 working days (one week). Thanks for this update. Did you have a Chinese visa valid for 90 days or longer? Last year I wrote to the embassy and they replied to say you can only apply for a tourist visa if your Chinese visa is 90 says or longer. I hope you didn’t as overwise we’re going to have to travel back to Europe with a 10 day transit visa which won’t be much fun. We personally were living in China, so we were residents. I would call the Russian embassy in Shanghai – preferably have someone who speaks Russian or Chinese call. Hello! As a swiss I try to apply for a Russian tourist visa in the russia embassy in Beijing. Impossible as a foreigner with a Chinese tourist visa. It is only possible to get a transit visa. I have to apply in my residence country in Europe (so Switzerland for me). If you want a tourist visa you need to have a business visa for china or a residence permit. I asked the embassador how to apply for the visa since I left Switzerland more than 3 months ago. He never answered and left the office. Wow, I’m sorry to hear that! It wasn’t a problem in Shanghai before, other travellers messaged and told us so. Are you transiting through Russia then? How long is transit – 5 days? What’s the closest metro station to the Russian consulate? Hi! What insurance policy did you go with? American and Canadian got Russian visas at Visa Application Center in the Bund International Building. Dropped off on Monday and picked up following Tuesday. American visa was 1280 RMB for 3 year multi entry and Canadian was 708 RMB for regular 30 day tourist. Invitation letter was from Real Russia. We took a high quality print “original” that they just glanced at and gave back to us. We are both in China on the 10 year multi entry tourist visa (no Chinese residency). It is very important to fill out the application form online with exactly the right information provided from your inviting company. Chances are that they will find mistakes in it anyways, so bring your laptop and head to the first floor Starbucks to edit your form. When filling in the form online the password has to be four letters and two numbers. It is not mentioned in the English translation, and you will keep getting an error until you follow this format. We did have proof of transportation into and out of Russia (printed copy of airplane ticket confirmation). Thanks so much for the update! Do you know how much the American 30 day tourist visa is? I was wondering if you could give a bit more information on printing the “original” invitation letter. Did you print it in color? On shiny or colored paper? What exactly did you do to convince them that it was legit? For the “copy” of the “original”, do you basically just print off a black and white copy of the same thing? Yes, we printed ours out in colour on shiny, thicker type of paper. And we then copied that piece of paper for the “copy”. Hello and thanks a lot for your great article!! Love it! One quick question regarding the proof of transport in and out Russia. We are planning on doing the same trip, transsiberian from Ulan-Bator to Moscow, stopping in Irkustk. Did you use your train ticket from Ulan-Bator to Irkustk or did you make a false plane ticket in and out? I know this article is a few years old now but I’m wondering if anyone knows if the process is still the same – I’m in China on a 2 year multi-entry tourist visa and I’m hoping to apply for a Russian tourist or business visa (whichever is possible). Does anyone have any recent experience with this or know if this will be possible since I don’t have a residence permit? Hello! You can order invitations to Russia on the website goingrus.com. The interface is very comfortable and there are many useful articles there. Recommend this website. Hi! I really appreciate the article and video, I just have one question if you don’t mind. When you applied for the visa did you have to surrender your passport for the week? I’m just curious because I’m going to be moving to China soon on a work visa and will have residency, but I’m really hesitant to surrender my passport for anything while abroad.